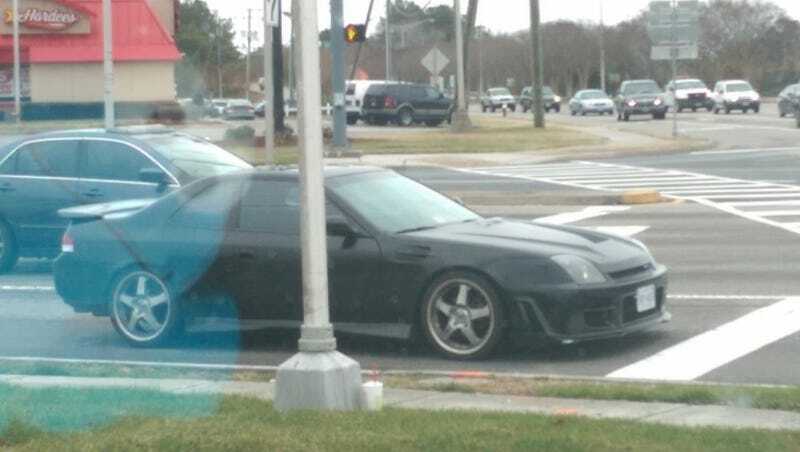 mildly modified prelude. I really do like these. What's the potential should I find an unmolested one ? how do they not notice it dragging and banging around on everything?! Even the idle was enough to make it bounce about. I've seen donks with cereal characters or McDonald's. So I guess this is the counter.